Charlotte Fitness Equipment is the largest supplier of commercial gym and fitness equipment in North Carolina—not just in South Park, Ballantyne, Myers Park, Concord, and Matthews. Our factory direct buying power and efficient, full service operations, allow us to provide the best prices on the best fitness equipment and gym flooring. Ease of use, efficient, reliable, high quality components and motors, and long warranties—these are the fundamentals of exceptional commercial gym fitness equipment. That’s a great benchmark, but Charlotte Fitness Equipment goes one step further when handpicking fitness solutions. Our selection of SportsArt cardio and strength fitness equipment is so advanced, it can actually feed electricity back into the grid. With SportsArt ECO-POWR™ equipment, fitness facilities can capture human exertion, turn it into usable electricity, and feed it back into the energy grid. Not only do you get bonus points with your customers and the planet for sustainability, you get to offset your building’s electrical costs, earn points towards LEED certification, government incentives, and more. Now, that’s a solid return on investment. At Charlotte Fitness Equipment, we have a pretty simple philosophy guiding in everything we do: if we sell you the best products, at the best price, with the best service, you’re going to be a happy camper. And, happy campers come back the next time they’re in the market for fitness equipment. We handpick the products we sell to ensure our customers consistently purchase top-of-the-line gym and fitness equipment and flooring. 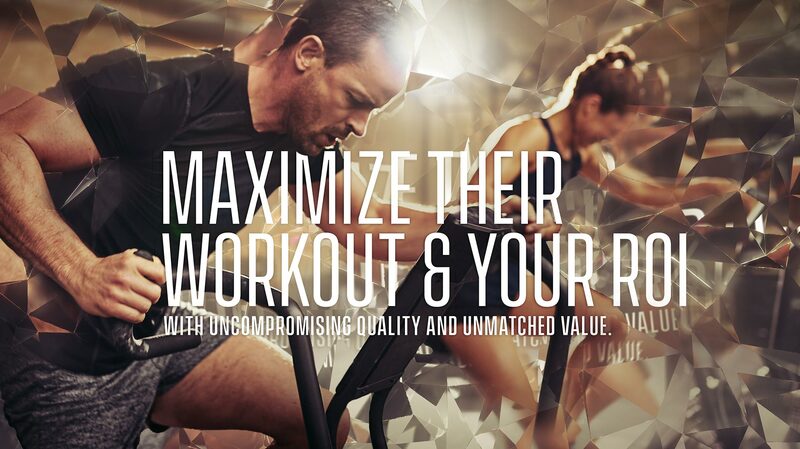 In turn, their customers experience top-of-the-line fitness equipment and flooring. Our standard of customer service compliments the quality of our fitness and gym equipment. We handpick our expert team members to ensure a consistently high caliber of service throughout our customers’ experience with us. Bottom line, when you shop with us, you get more than just the best gym and fitness equipment—you get Charlotte Fitness Equipment every step of the way. Contact john@charlottefitnessequipment.com, call 704-844-0497, or send us a note below.